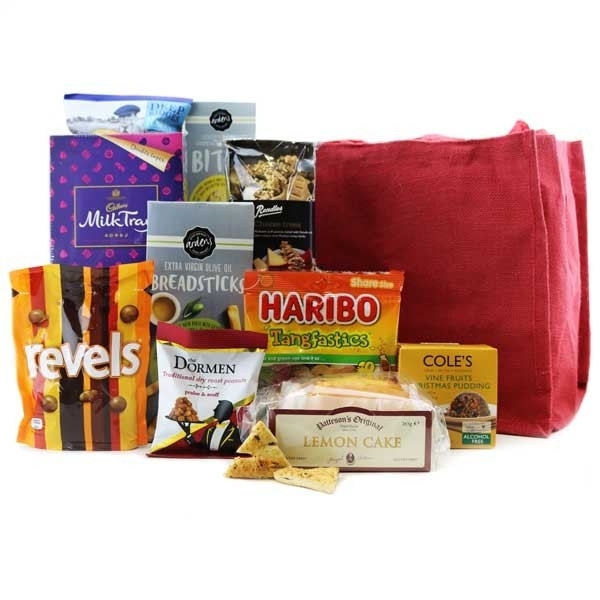 A great option for a brilliant staff hamper! This reusable jute shopper includes a wide variety of much loved Christmas favourites. From sensational snacks to sharing packs of sweeties and chocolates, it won't disappoint. Completely alcohol free it's a good solid choice when you have a wide range of people to please! We can also brand the bag with your logo or artwork, please contact us for a quote.